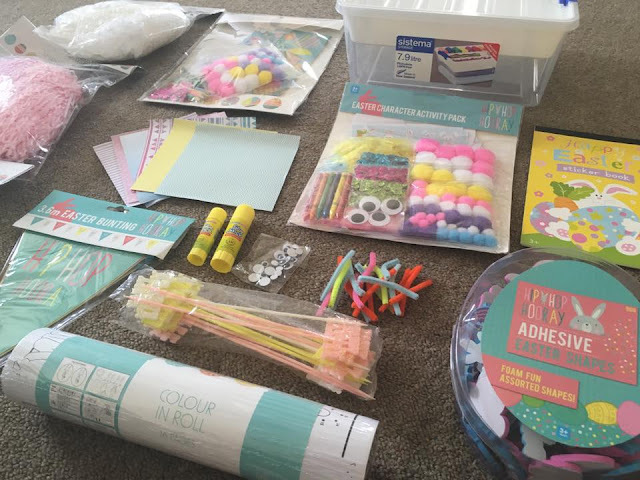 Last year I created 'A Christmas Craft Box' for my kids and it was a hit - keeping them busy during the Christmas holidays. Everything they needed was in this little box. So I have decided to do the same for Easter and make An Easter Craft Box. I recently found a bunch of Easter supplies I had bought on clearance last year and some other items (like cardstock) to add to the craft box. 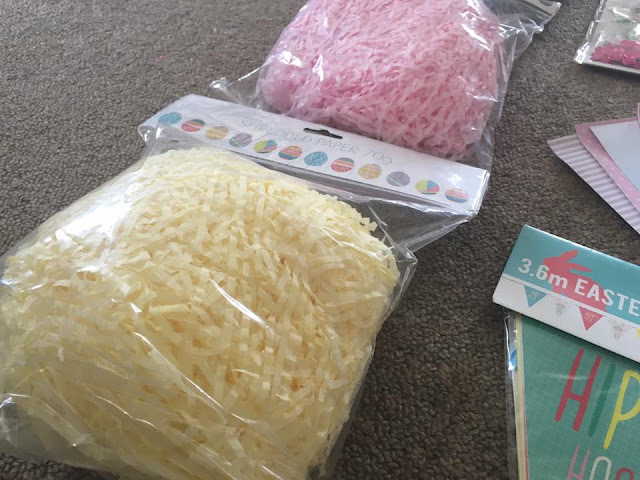 The only things I bought this year was the shredded paper and a roll of activities/colour pictures, both from KMart and the storage container for under $10, the rest were all on clearance for $1 or $2. 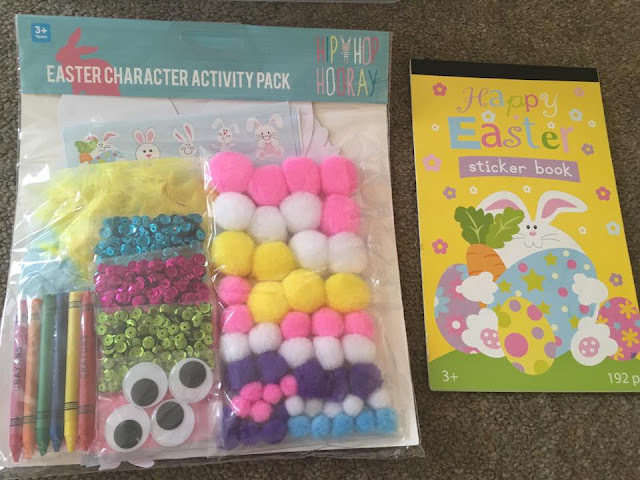 Easter Character Activity Packs - includes pompoms, Easter card shapes, stickers, feathers, sequins, googly eyes and crayons. Our craft supplies are all stored in a Sistema 7.9 litre container*, it includes a storage tray - perfect for keeping all your supplies organised. 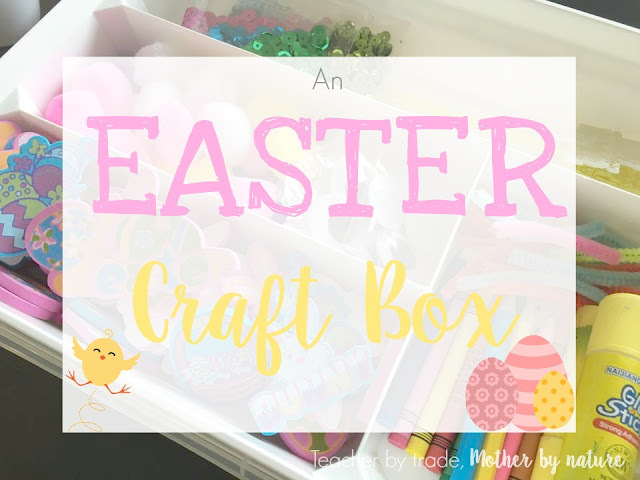 I am looking forward to sharing this Easter Craft Box with the kids! I'm thinking of making some play dough too for them to decorate. 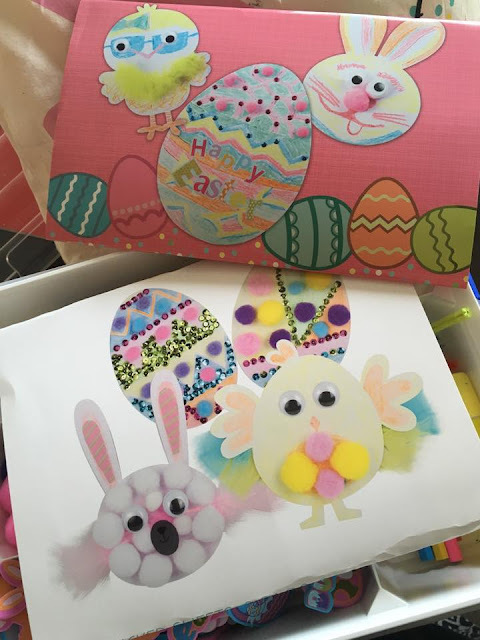 Here are some more photos of our Easter Craft Box, to hopefully inspire you to make your own for your family this Easter. Best of all, having it all in one storage container, you can take it anywhere and store it away, ready for next year. 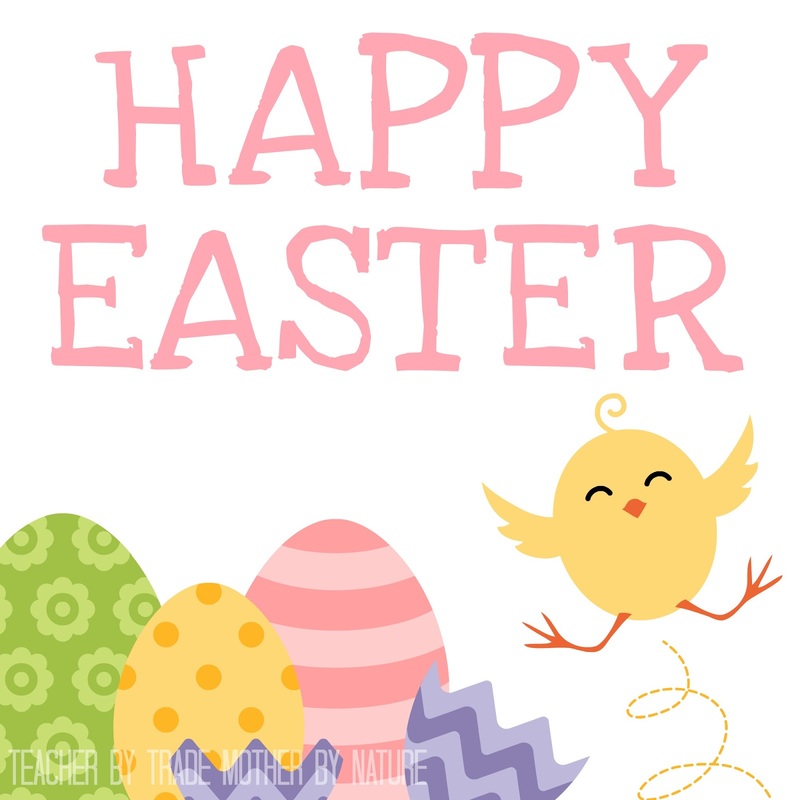 Have fun & Happy Easter. The bags of shredded paper were $2 each, and these is A LOT in there, so I decided to pull a bit out from each colour and put it in snap lock bags, and save the rest for later (if needed). 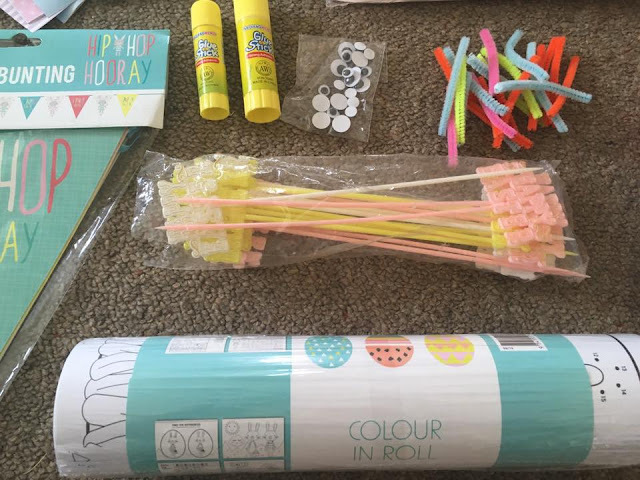 Here are the some of the examples from the activity packs I bought. Super cute! My toddler is going to have a blast getting creative and so it Miss B. 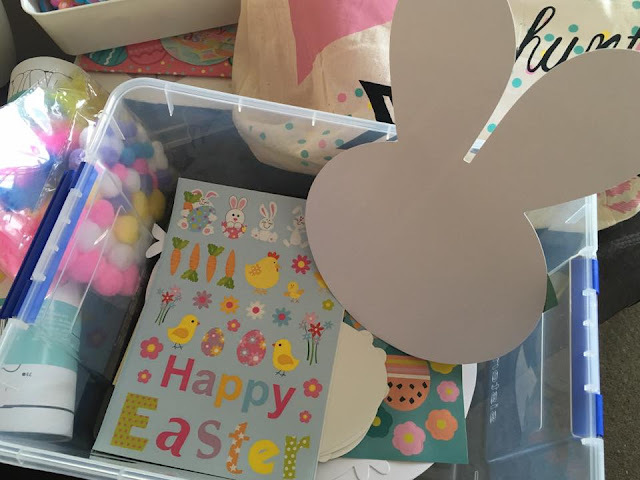 Have you got an Easter Craft Box for your family? Thanks Maria. Craft packs are amazing, especially Christmas and Easter ones...the children can be as creative as they like using the supplies they have on hand, putting them in a container makes it easier for us parents to manage/store/organise. 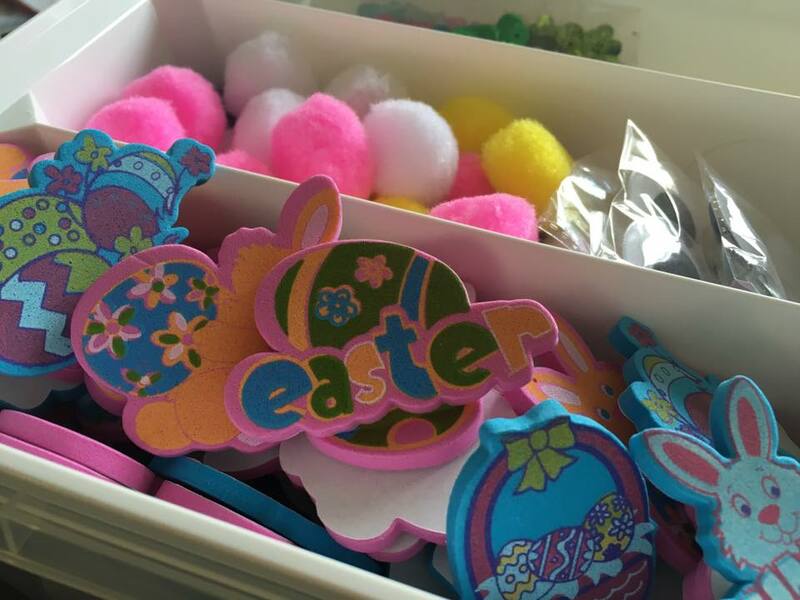 This is a super cute idea and so much better than the store bought Easter baskets! I have totally forgotten about easter this year! It's just sprung up on me. I really need to get organised. It really has snuck up on us...especially at the fact that it's not in the school holidays. What a great idea! I love picking up things on clearance but the key is remembering the following year that you did. YES! 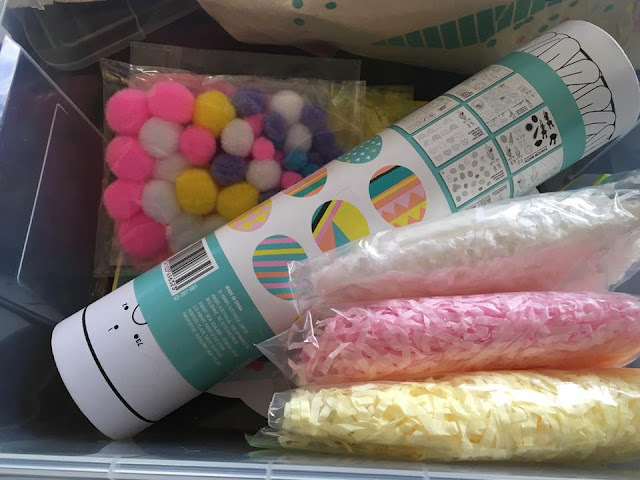 I almost forgot about the Easter Crafts I bought last year, thankfully I did the KonMari and found them all! Glad they still sparked joy after a year. 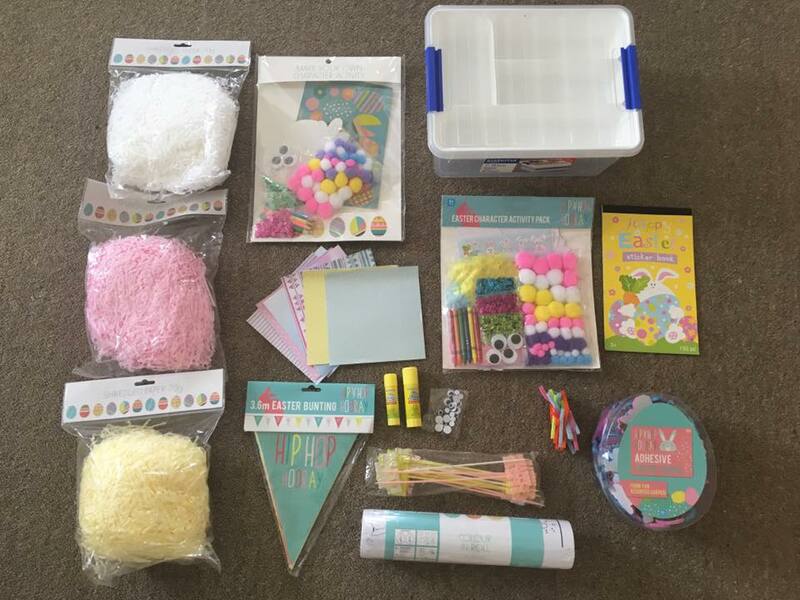 We have a lot of these Easter craft pieces from Kmart too. I would love to find a container to store them in like yours but I haven't seen any around here. I've always got my eyes open for one whenever we're out. It certainly would be easier than storing everything in plastic sleeves. Tomorrow we're making felt Easter eggs and we've got card stock eggs and masks to decorate and a heap of other activities planned for the next week. I'm really getting into crafting now that my daughter is old enough for it. You've got some cute stuff in that box! Did you find it during your KonMari decluttering?? 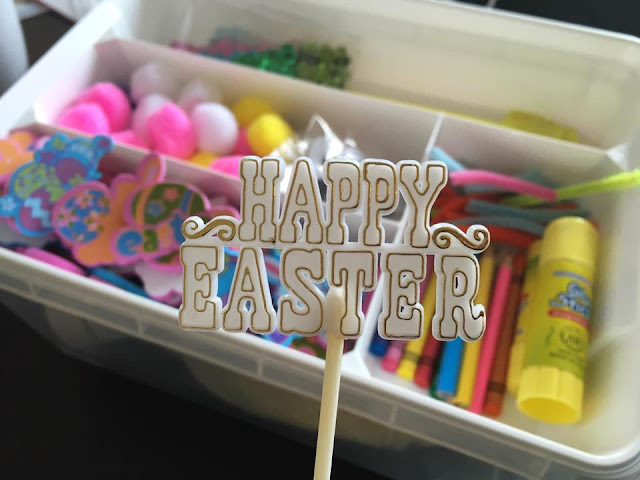 This was our most clicked post at the Blog Fair this week, so you are featured again :) Happy Easter! Thank you Karen! Yes, most of it was found when i was doing the KonMari method - I bought stuff last year and completely forgot about them. Now I have them organised in the container, and will keep the container in my office for next year too. Such a great idea, I am SO doing this next year! 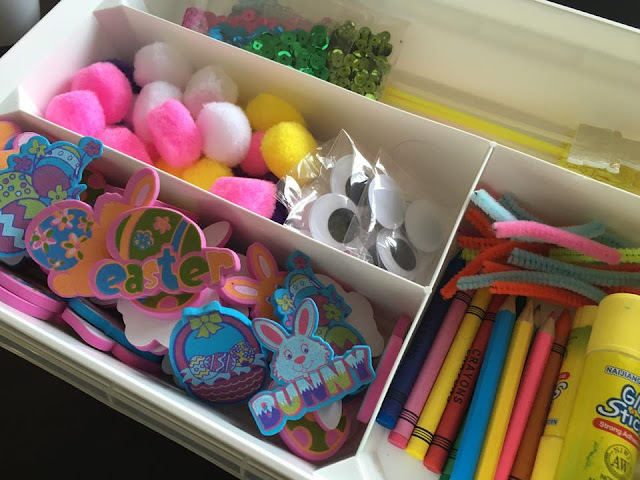 Such a lovely Easter crafts box. Really liked it a lot. We hosted an Eater party this year at a local event space NYC. My kids enjoyed it a lot and we invited their kindergarten friends to the party, so it was fun for everyone.